PALATE – A combination of white grapes, predominately Semillon, aged in Old Casket, coupled with the traditional solera technique, gives this rare wine its distinctive soft rich flavours of vanilla, marzipan, and chocolate fudge, with a drift of spice. A fortified wine, this recipe is from Carlos’ home town in Casale. 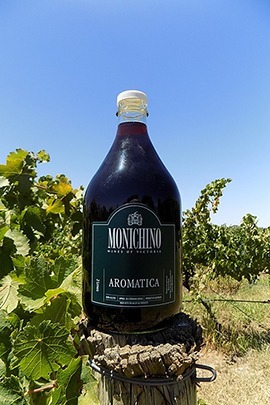 This classic Italian wine making style has translated smoothly to the Goulburn Valley, and is the traditional Solera techniquie used by the Monichino family to produce a sensational fortified wine. Great with coffee or can be used in Italian desserts, such as Tiramisu.